I never want to see another badly executed wet-plate collodion, where the process itself has no real connection to the concept, and where—specifically with wet-plate collodion portraits—the overall darkness and the artifacts that remain from the sloppily applied wet-plate collodion do not add to, nor have any bearing on the meaning of the image. Process itself is too often treated as a panacea. When concept is weak or non-existent, and the image itself is little more than a forgettable snapshot, this idea persists that the alternative process will make an otherwise banal image seem meaningful. That even the artifacts themselves will serve to provide some deeper obscure meaning, where none exists. And then I saw the exception: the wet-plate collodions of Willie Osterman. A few years ago, I found myself sitting in the “drawing room” of a beautiful Victorian in downtown Savannah. Seated among a small group of photographers, I blurted out my same clear-eyed, rather harsh opinion of wet-plate collodion portraits. Willie Osterman, long time photographer, educator, and Chair of the Photography Department at RIT, was sitting there, part of that same small group, yet he had no visible reaction and said nothing in response. I had never met Willie before then, nor was I familiar with his work. Two days later, he brought out a stack of 11x14 wet-plate collodions and carefully laid them out on the over-sized dining room table. And they were breathtaking. This was a realization for me that a wet-plate collodion can actually offer a full tonal range and exude a kind of purity and beauty—and an almost translucent quality of light that in no way negates its depth. Here, the strength lies in both the concept and the masterful execution. 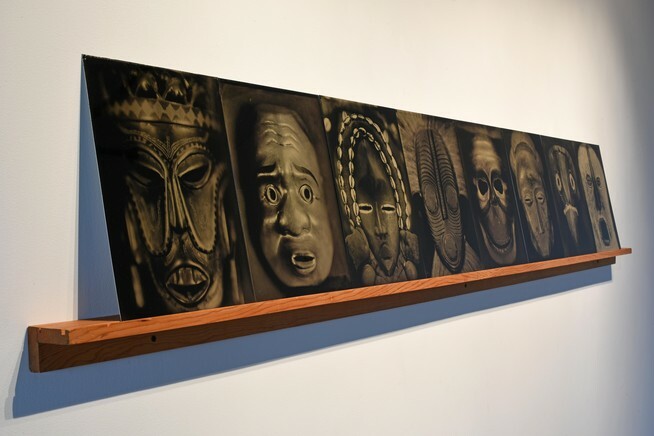 Willie Osterman’s Masking Portraits completely transcends the ubiquitous wet-plate collodion portrait with his exceptional plates of ancient masks of various origins and cultures. 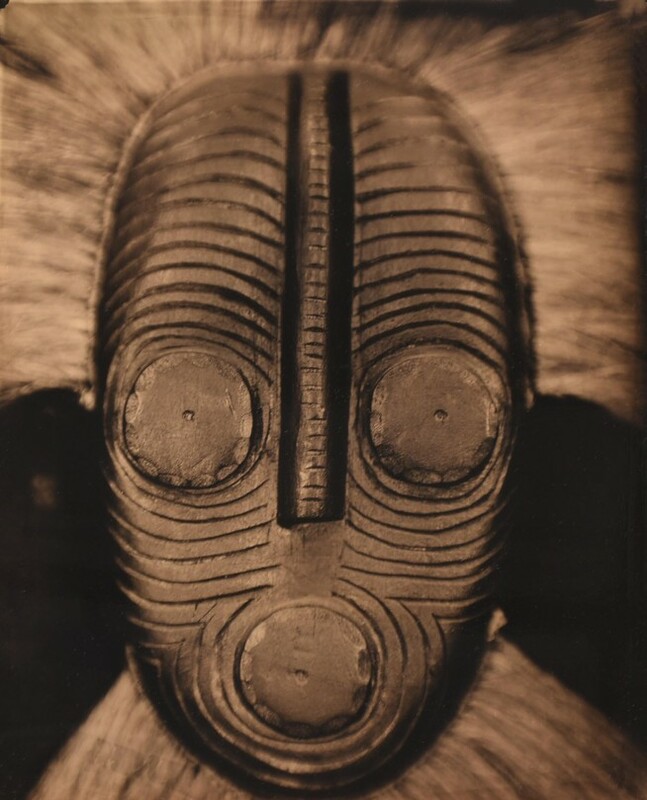 In a singular and powerful insight into identity, Willie makes a deliberate and thoughtful choice to create these images using the 19th century collodion technique, due to its “unique ability to render color in rich monochrome tones that enhance the representation of the spirits of the original masks.” By eliminating color, he manages to transform “literal representations” into what he refers to as “mythical transformations.” This is a perfect example of how an ancient process successfully and smartly meshes with a contemporary vision, with no need for process artifacts to bolster the work. 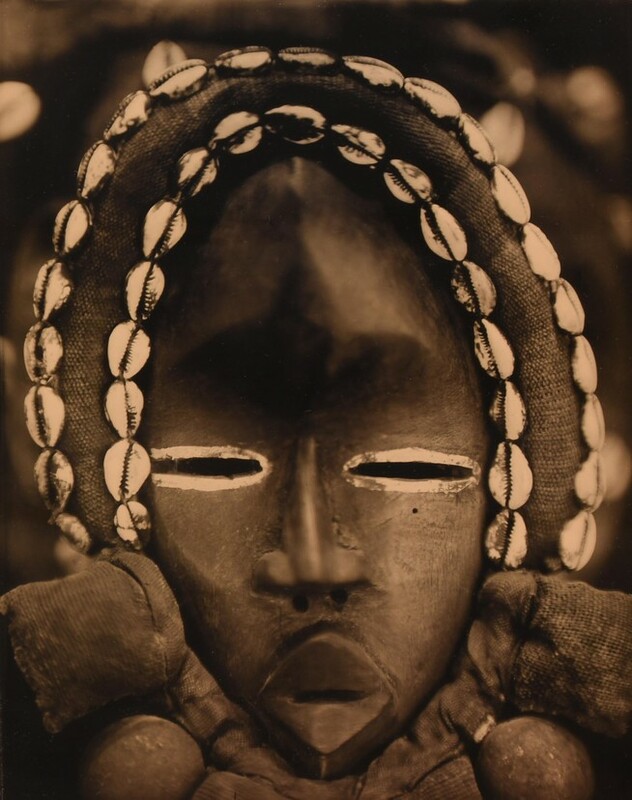 And, in the end, these ancient masks staring back at us move far beyond the ordinary and that which we think we already know.